To spend time with Eric Senseman is to feel truly and finally understood. He looks at you with concern and interest, clearly indicating that what you’re saying is revelatory and wise. He seems surprised, too, but surprised at himself, as if he’s inwardly wondering how he could have ever lived his life without you. He flips his wave of thick brown hair back and forth without ever breaking eye contact, and his mustache quivers with anticipation for what visionary insight you might reveal next. Eric Senseman validates you, completes you. He is what all friends aspire to. But, like a cool town or the latest indie music, everyone knows it. And once you go out in public with Eric, and you see his other friends and how he also endows them self-actualizing concern, your heart starts to break, realizing you could never be his only friend, that his care must by nature be spread as widely as possible. Eric Senseman embodies the paradox of the caregiver: his concern connects you by its power and yet divides you by its breadth. To know Eric Senseman is to be truly and finally heartbroken. I have experienced all this myself. Yet such is my commitment to our connection that I have no choice but to do my duty to his story. Like Victor Frankenstein bitterly assembling his second monster in a storm-ravaged cabin in the Scottish isles, I must grimly commit to the page Eric’s profile despite the tremendous misgivings brewing in my tormented soul. I take no pleasure in this, but the choice is not mine to make. Eric Senseman is a critical thinker, just let him tell you: “I graduated from Texas Christian University with a degree in philosophy.” What that means in real-life terms, besides the fact that he’s obviously never going to get a job, is that he likes to think about stuff. But apparently not too much. “I [went to graduate school] to get a Ph.D.,” he told me in a recent interview, “but after a while I realized that it just didn’t have enough relation to people’s lives.” In other words, he wants to work just hard enough to be able to cite more references than you, but not hard enough to finish what he started. Turns out, this is a metaphor for his whole life. He was born in St. Louis, Missouri the middle child of three. He played sports as a kid. He went to school. He had a childhood. “Did anything happen to you between the ages of five and 18 that I need to know about?” I asked him. But that’s not entirely true. He went to a private, all-male high school in St. Louis and calls it an incredible experience. Whereas to me that sounds a bit too much like the movie Dead Poets Society, Eric says he felt much freer than most high-school kids. “There was just less to worry about in school, and all of my friends did everything together. I loved it.” He’s 29 now, and I asked if he went to his high-school reunion. And that was the first time Eric Senseman broke my heart. Eric Senseman (middle) with friends in his meathead college days. All photos courtesy of Eric Senseman unless otherwise noted. One of his classes was logic, or “the study of principles and criteria of valid inference and demonstration.” It’s basically a way of building arguments like math problems: if A is true, and B is true, and if A + B = C, then C must be true as well. It gets super complicated after that, but nerds like Eric Senseman really get off on it. Enough so, in fact, that he decided to major in philosophy. He graduated in 2011 with a Bachelor of Arts degree in philosophy and then went on to get his master’s in the subject from the University of Wisconsin-Madison two years later. College is extremely social, and during his sophomore year of undergrad, Eric found himself spending time with members of the cross-country team. He liked them enough to try out for the team, and then spent the next three years running track and cross country. They would run hard and party hard. The friendships he made there are still some of his closest, right up there with all of his high-school friends, his friends from the non-running parts of college, and most of the people he has met since graduating seven years ago. His phone’s contact list must be out of control. 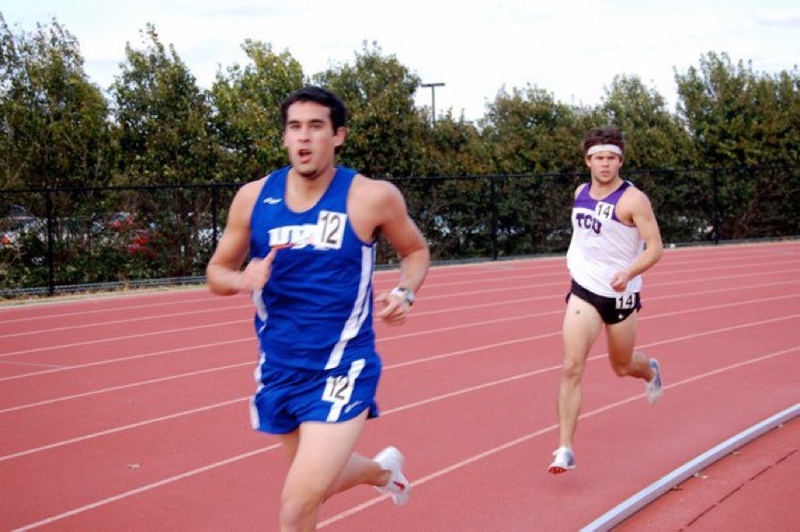 Eric running the 3k for Texas Christian University in 2010. Today he’s one of two employees at Squirrel’s Nut Butter in Flagstaff, Arizona. He lives with his girlfriend Jacky in a home frequently populated by friends either stopping by or staying in the spare bedroom for weeks at a time. He runs a lot. He drinks beer on the porch, and goes to trivia night at the sports bar, and curates his mustache for hours every day. The Coconino Cowboys are “a bunch of reckless runners and best friends from Coconino County (Flagstaff) Arizona. [They] are united by the desire to push each other in training and learn to embrace the suffering.” That’s according to their website, which also includes such pithy slogans as: “A pact was made;” “Cowboys VS Everybody;” “Work hard, win easy;” and, most succinct of all, “Bang bang.” Their official slogan is “The Canyon Makes Cowboys,” which is a reference to the Grand Canyon, in which the group apparently trains together on a regular basis. In a sport dominated by the aesthetic of bearded, nomadic hippies dedicating their lives to simplicity and long runs in wild places, the Cowboys’s hyper-competitive rhetoric can incite sneering contempt. Specifically, it can incite the kind of sneering contempt that people have when they’re pissed they didn’t think of a good idea first. I don’t know. But I do know that Eric Senseman is competitive. When I asked what some of his goals were for the next few years, he said, “I want to run really fast in races.” That’s a good way of phrasing something that might be taken as conceited if put any other way. He wants to compete, and he wants to win. There’s no need to apologize for wanting to be your best, and running is a great sport in which to try to be your best because the results are so exact. You got first place, or third place, or maybe 78th, but regardless, you always know your position. There’s no ambiguity, which must be a welcome reprieve for a philosopher. Eric looking a little… worked after finishing his first 50 miler at the 2011 Minnesota Voyageur 50 Mile. And then, who doesn’t want to run with friends sometimes? You go for a run, you talk and laugh, then you go eat some pizza, maybe drink a beer. Being social is being happy, not all the time of course, but if you don’t actively organize your social time as an adult then it slips away real quick. And then, if you’re already running with the same group of people all the time, why not form a group, get a name, make some T-shirts? It’s fun! Especially if you are all good enough to win races, then maybe other people might buy those T-shirts too, giving you a little cash to take more advantage of your desire to run fast. You’re also spreading the love, building some hype, putting a little honest pressure on yourself to do well. And if you need to be a little dramatic in your slogans to get that attention, who’s it hurting? The photo behind the slogan is clearly of a group of friends having a good time. There are no middle fingers out, no frowns, nobody’s too cool for you. It’s all. Just. A game. In 2013, while in grad school in Wisconsin, Eric ran the American River 50 Mile, two different The North Face Endurance Challenge Series races, and something called Surf the Murph 50k in Minnesota. His worst finish was fourth place. The next year he ran even more competitive races like the Leona Divide 50 Mile and the JFK 50 Mile, again never finishing lower than fourth. 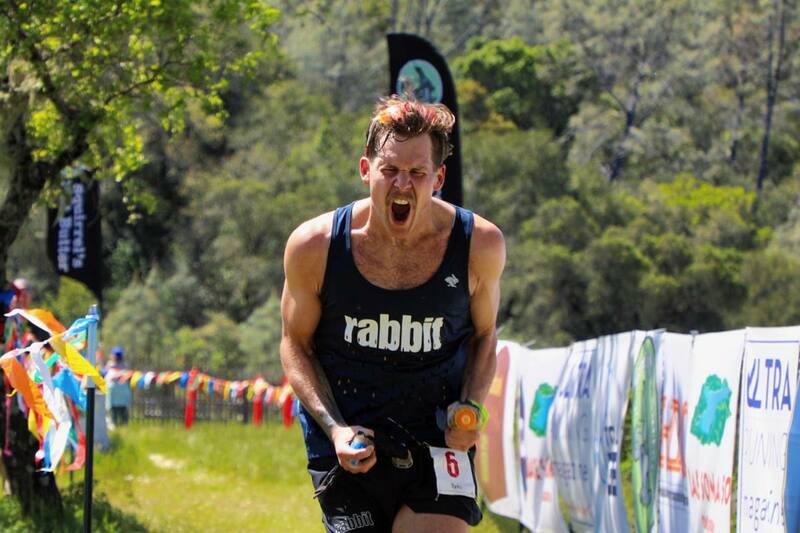 In 2015 he blew up hilariously at both the Speedgoat 50k and JFK. Since then, he has pushed into the most competitive races in the country and even raced in Europe. His best results are a fourth place at the Lake Sonoma 50 Mile this year and a big ol’ W at JFK last year, among numerous other top 10s. Racing is hard and he’s pushing himself into new territory. Few runners have immediate success in ultrarunning, and Eric’s trajectory at this point seems on track for him to learn from his failures–like his race at this year’s Western States, his first-ever 100 miler–and improve on them significantly. Watch out for him. 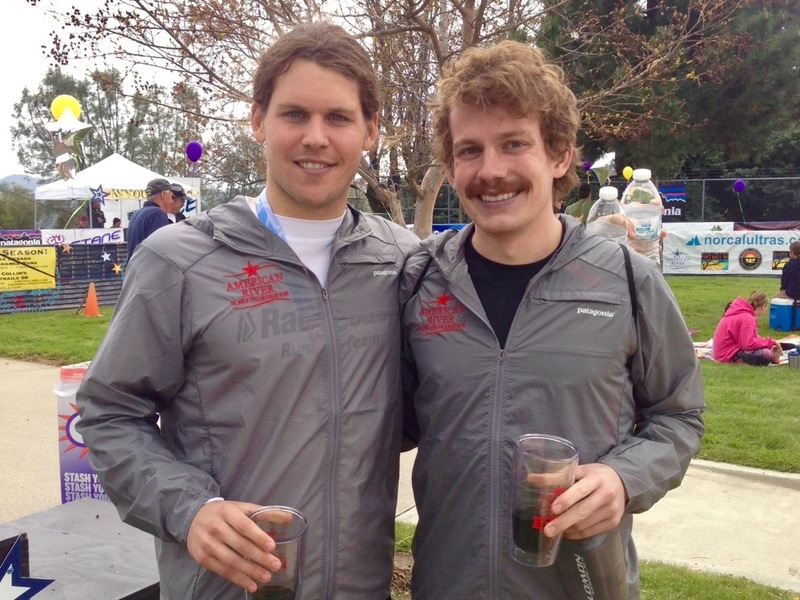 Eric and Matt Flaherty after the 2013 American River 50 Mile. Intelligence is not a measure of the things you know. Facts are only one part of intelligence. Really intelligent people are such because they can use information differently from the rest of us. Their gift is their ability to connect information in novel and creative ways. Obviously, knowing a lot of things is a crucial part of intelligence, but it’s not enough. Simply knowing trivia without being able to apply it is like having a full tank of gas but no accelerator pedal in your car. A philosophy major might not get you a high-paying job right out of college like a science, technology, engineering, and mathematics (STEM) degree might, but it’ll undoubtedly give you the tools to live your life more honestly, more humanely, and much more intelligently than if you focus on numbers alone. This is not to say that numbers-based careers are unimportant, but it is to say that our culture’s focus on numbers is disproportionate and in this way potentially damaging. A society that puts all its emphasis on numbers without asking what they mean does itself a great disservice by eliminating critical thought from discussions of value. Trail running is fairly intellectual, as far as sports go. How people do things is often as important as what they do. Criticism of the Coconino Cowboys can almost always be boiled down to people perceiving that they aren’t approaching the sport or the trails in the right way. Surveys of the sport indicate that a large number of trail runners have attended at least some post-secondary education, and are wealthy. The last point is often connected with an emphasis on values. People who don’t have to worry about where their next meal is coming from are freer to think about what that meal may be. Thus, trail runners have the opportunity to care about how we participate in our sport, and since our sport is centered in a larger outdoor culture we adhere to certain cultural imperatives. Outdoor recreation has always been heavily reliant on intangible aesthetic values, from the 1700s to today, with adventurers constantly developing these values as they’ve expanded into ever broader landscapes and ever wilder pursuits. In this context, Eric Senseman is an ideal representative of what our sport is now and can be yet. I don’t think Eric would dismiss anyone for doing the opposite of that, for taking an easier road and holding beliefs without considering them too closely. But there’s a particularly fulfilling quality of life that accompanies the struggle to understand the world and your place in it. That struggle can be painful and it is never won, and there’s honestly not even a way to define the terms so that you might compare yourself to someone else. You can argue about the ambiguities of what living a considered life even means, which to many people means the whole conversation is a waste of time. But it’s not. Philosophy aims to rationalize these ambiguities as far as possible, but the cutting edge will always be blurry. That doesn’t mean it’s pointless. So take your own path and think your own thoughts, but if you ever get to meet Eric and talk with him, you might get a sense of what I mean when I say that knowing Eric is knowing what it’s like to be interesting, to have someone actually listen to what you say and consider it. And I hope you’ll then ask why he makes you feel that way, and why it doesn’t happen with everyone you talk to. This article has taken me months to write because when I conceived the idea I immediately suckered Eric into a 1.5-hour interview about his whole life and then spent two months wondering why that felt so pointless. Now I know it’s because the big movements in Eric’s life have nothing to do with why he’s worth being interviewed. His value lies in the in-between moments, in the small conversations and interactions that he shares with the people he cares about. He’s a critical thinker, and I mean “critical” in the academic sense, like critiquing, AKA considering. He thinks about things and puts his thoughts together in novel ways and we’re all lucky that he spends a lot of time thinking about the people he interacts with. We benefit from his critical thinking because he mostly pays attention to other people. He looks you in the eye and thinks about what you say and connects the things he knows in new ways, and then he offers that as a suggestion, or a question, or simply an idea. He’ll never make money off it because that would preclude the honesty of it all. But it’s what makes him different. It’s what makes him worth writing about. It’s what makes him a great friend. Calling all Eric Senseman stories! Leave a comment to share your experiences with and stories about him. BP, this keeps up and you’ll be able to charge to visit this site! I don’t have any Senseman stories to share as I haven’t had the pleasure of meeting him, but from what I’ve read and listened to (about and from him) he seems like a thoughtful person and a serious runner. 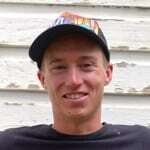 I particularly enjoy the pieces he contributes to iRunFar and the NAZ Elite podcast he hosts. On what you wrote about it all just being a game, I love this. On the one hand it’s good to see people who are passionate about our sport like others are with football and baseball, etc. I love to geek out on ultrarunning and would be that annoying guy who might bother Dakota for a picture if I saw him out and about. On the other hand just take it easy. There are so many positive aspects of this sport and no reason to become so personally invested that you need to push negative thoughts toward any individual or group. Be a fan or don’t. Ultrarunning is unique in that you can toe the same starting line with the likes of Eric and Dakota which makes me feel more connected to the sport. And for the most part I think that’s a very positive thing. OK, off topic rant over. Sorry. In short, Eric seems like a cool dude to have a beer with. Great article, Dakota. Eric Senseman broke my heart when he told me “I pace people all the time in 100 miles” at the 92 mile mark in Javelina Jundred last year. From mile 81-91, he made me feel so special. He made me feel like I was the only person he would ever consider pacing….we watched the sunset at Jackass Junction….and then he broke my heart. Love your writing Dakota. Hilarious and now I like Eric even more! Eric Senseman broke my heart when he stole Matt Flaherty’s mustache after writing a glowing piece about Matt. I can only assume he broke Matt’s, as well. Stache grudge run somewhere in between Flagstaff and Bloomington? Eric Senseman broke my heart when he, exhibiting the good sense to leave the Midwest, failed to move to Montana. We did, however, have one excellent misadventure in Glacier National Park, where Eric, citing Peter Singer, wouldn’t let me off the hook for eating an elk burger. (But in that Eric, challenging you, but still supporting your right to make your own decisions kind of way.) I have yet to visit him and Jacky in Flagstaff, though from Dakota’s piece it sounds like I’m allowed to stay for weeks. In the Tracy Austin sense, Senseman has done the opposite of break my heart. I’ve loved watching him get better and better these last few years — group training with the ‘niño ‘boys is clearly a transformative part of that story. And I always find his ability to reflect on and write and talk about it all (as well as much else in the sport) compelling. Additionally Amy and I had the pleasure of helping to save (or maybe just witness) Eric from an animal encounter (of undetermined type, although we’ve heard it growled) at approximately mile 86 of Western States this year. Not only did Eric alert us of said animal but upon realizing it was us stopped to hug us, apologize for blinding us with his headlamp, and then proceeded to usher us in front of him to defend him from lurking creature. I loved your comment about the 1.5 hour interview. Sometimes the Erics of this world are “never seen at their best, because they are at their best when they are not seen.” I don’t recall who said this, but it was in an article about surfers in South Africa. You can see it on his face in the AR50 photo. Raw, simmering, unadulterated, ‘stache envy. That boy broke my heart too. I loved him, but for the same reasons everyone else did, which means I had to watch everyone I knew fall in love with him, right in front of me, which was gross, but if you love something set it free, if it finishes 78th then maybe it’ll come back to you. Oh I know that man. One time he took me out and treated me to a lovely evening. The wine, sparkling, the loin, tender, his eyes, divine, yet something was off. He kept leaving, getting up from the table an inordinate amount of times and heading to bathroom. He never gave a good reason and spent quite some time each time he left. And then, from the corner of my eye, I saw a profile, one I could not mistake, it was Eric, in a wig and dress, using a fake accent and sitting with a family. He was married, or had kids, or at least was wearing a dress. I could not believe my eyes. The man I was with was excusing himself from dinner to go dress up as a woman and sit with a family in between bites! I still have yet to get a good explanation from him. I met Eric once. He called me cute. Turns out I’m not cute. Never been cute a day in my life. eric, I look forward to running with you one day in a race perhaps (if I can keep up) and forcing a bold confrontation with historical materialism and all that it brings to bear. Great article, as always, Dakota. Your writing is one of the (many) great reasons to keep coming back to (and supporting) IRF. And as a philosophy major, I particularly appreciate your discussion of the value of learning to think critically, as embodied by Mr Senseman. I’ve never met him, but I’m sure I’ll enjoy it if I ever do. My first memory of Eric is when he put in a “snus” after Ultravasan and refused to take it out. He looked dizzier and dizzier but kept saying he was fine until he had to leave the party. Eric Senseman, you should give the green energy game another go! Carbon neutral 2039! Eric is an American aquarium drinker. He assassin’s down the avenue. He’s hiding out in the big city blinking. What was he thinking when he let go of you, Dakota? ha, long time listener first time caller. it’ll all be downhill from here.